Spanning over one hundred years, from the antebellum era to the 1980s, A Shout in the Ruins examines the fates of the inhabitants of Beauvais Plantation outside of Richmond, Virginia. Seamlessly interwoven is the story of George Seldom, a man orphaned by the storm of the Civil War, looking back from the 1950s on the void where his childhood ought to have been. Watching the government destroy his neighborhood to build a stretch of interstate highway through Richmond, he travels south in an attempt to recover his true origins. "The war tried to kill us in the spring," begins this breathtaking account of friendship and loss. 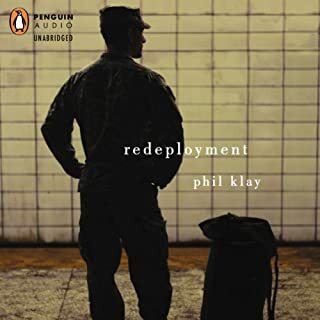 In Al Tafar, Iraq, 21-year-old Private Bartle and 18-year-old Private Murphy cling to life as their platoon launches a bloody battle for the city. In the endless days that follow, the two young soldiers do everything to protect each other from the forces that press in on every side: the insurgents, physical fatigue, and the mental stress that comes from constant danger. With profound emotional insight, especially into the effects of a hidden war on mothers and families at home, The Yellow Birds is a groundbreaking novel about the costs of war that is destined to become a classic. This was a heartwrenching story. Very real and eye opening to what deployment is really like and how combat changes lives. I thought I had an idea of combat, as a military wife, but this was enlightening, in a bittersweet way. I have a much greater understanding of the how and why of PTSD. I believe combat is one of those experiences you could never understand unless you have been there, but this is definitely the closest thing to it. An amazing story and I appreciate the author going to these places in his mind to help us see a glimpse of war. It is difficult to review this book without waxing so eloquent that potential readers/listeners won't become incredulous. Without question, this is one of the most thoughtful and well written stories I have read in ages. It follows the lives of two young soldiers, Bart and Murph, as they go through basic training and are deployed to Iraq. For the next several months we follow them as they descend into the hell of war. The war and its players are not romanticized. 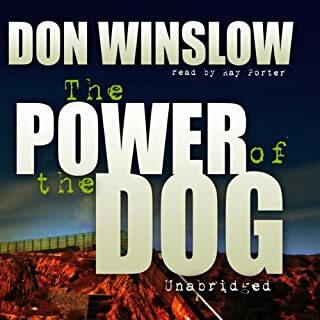 Instead, the terror of war comes to life and the reader/listener has a front row seat as Bart (short for Bartle) chronicles the impact of this terro on him and Murph (short for Murphy). Considering that Bart made a commitment to protect Murph, his distress is compounded as he watches Murph slip away from him. If you have ever wanted to understand war and its affect on warriors, this is the book for you. Be prepared for a strong emotional response, however. Not just because of the blood and guts (there is some of that) - but because of the the incredible psychological toll that war takes on everyone. Graham did an outstanding job of narrating this story. His voice lent an authenticity to the story. He did a good job with multiple voices. But he did best at reflecting Bart's struggle to be a good person, a good soldier, and a good comrade. In the end, he did an outstanding job of portraying Bart's effort to understand the war and how it changed everything he knew about himself and those around him. I accept that it is not possible to know what it is like to be in combat unless one has actually experienced it, but good literature is as close as one can get. 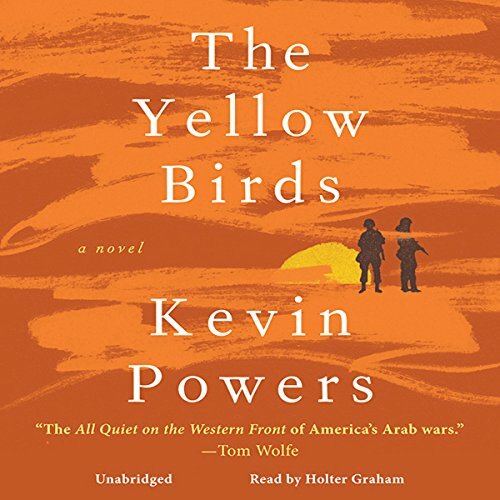 The Yellow Birds, set in Iraq, tells the story of two young American soldiers from Virginia, their experiences and the aftermath. It is not a pretty picture. 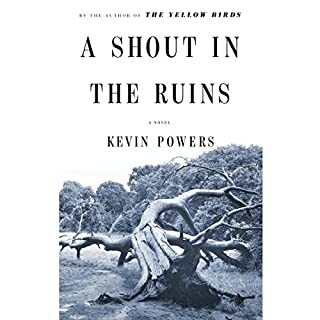 The genius of the book, a first work by Kevin Powers, is that it uses powerful and artful writing to not only tell a story, but to provide insight into the consciousness of other human beings who are caught in the madness of war and killing. This is not a story of hope or spiritual uplifting; rather, it is an exposition (not an explanation) of existence under this latest version of war. It is sad and unforgettable. Beautifully read. If you could sum up The Yellow Birds in three words, what would they be? Bartle. Poor kid never knew what was coming and couldn't even stop it if he had. Damn war, makes messes of all their lives. You know, I didn't have a favorite scene. It's damn hard to pick a favorite scene when the whole story is so sad and depressive. The fact that it's a completely honest look at what could happen to all our troops when they get home from the war makes it all the worse. Fiction or not, it's crippling. That being said, it really makes you think about how to treat our soldiers when they get home. Thank you all for your service. It's never enough, but I'll never stop saying it. No. There's only so much sadness I can handle in one sitting. It's a great story, but I wept through most of it so much that I gave myself many migranes. The saddest part is that the soldiers fighting can't take a break when the war gets too much for them to handle. This one isn't for the weak of heart, but if you've got someone fighting, you need to hear this one. It may be too late for some who have been diagnosed with PTSD, which is what I think Bartle has, but being sensitive to it and helping when you can will help. This one will make you want to take breaks often, but keep coming back to it. It's got a good ending, even if it's heart breaking to get through. WOW! Should be required high school reading! While I don't read a lot of "war" books, I have to say that this book was one of the most compelling books I have read in a long time. It is grisly, lyrical, timely, ancient, and so moving. I practically read it in one sitting (it's not too long). It's also really well read--really almost "acted", so well read. But the writing is what counts: it is a stunning book. 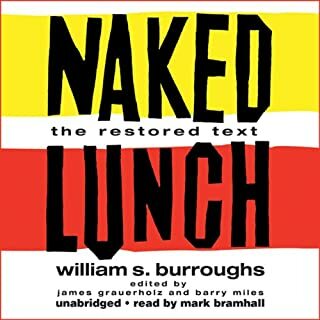 I will get a copy of the book out of the library, as there are parts of the book that I want to reread, just for the shear beauty of the words and wisdom of what they say. I've read many of the NYT 2012 top ten and in my opinion, this is by far the best so far. The narrator couldn't have been more perfect for this book. I loved chapter seven when his honest emotions came through in such a raw moment. I obviously do not have first hand knowledge of the going ons in war but I would have to believe that this couldn't be far from actual accounts. It reminded me in part of the Katherine Bigelow movie that won the Oscar year before last. The Yellow Birds, while very emotional and well written has me wondering about the moral message related in this book. 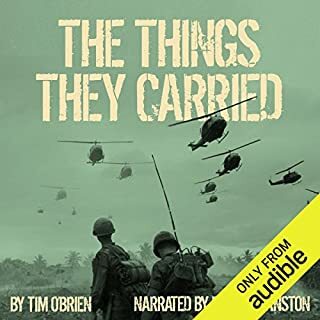 Yellow Birds does not, I believe, give you insight into the war or in the stateside portion of it anymore than the movie Apocalypse Now gives a view of Vietnam. While it is short i think it is still worth the credit. 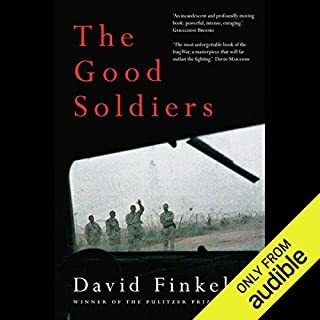 I believe the book The Good Soldiers was much better and it is an actual account of the Iraq war. I haven't finished this book yet, but with an hour to go, think I have a handle on it. The essential story is Bart's — what he did in the war in Iraq and what it did to him. There's lots of physical description, and some of it adds to the story, and some Hemingwayish affectations with concatenated conjunctions that don't. The characters are thin, especially Murph, the best friend fated for a bad end, Sterling the jaded non-com trying to keep his troops alive. The officers (FD: I was one) were truly cartoonish, as were the mothers. Seems to me that author Powers was trying to write a very interior novel. I don't know how well that works in a war story. It turns into a story of one man's angst set in a war/afterward. In war stories I find memorable, including Catch-22, Cacciato, and parts of Wind-up Bird Chronicle, the reader's able to live with the character, because they're more than a bundle of angst, they deal with other, more real characters in interesting, believable ways, and more happens. Powers has promise, and his work is moving/lyrical by bits and pieces. This seems like early work, and makes me hope for bigger+better later on.